You have got a great idea for an online course and you want to get it live and making money as quickly as possible! However, you want your first course to be done right, so how long is all of this going to take from idea to life website. This is what we discuss in this episode of the WP-Tonic Show. Jonathon: Welcome back folks to the WP tonic show. Its episode 395 the episodes are flying past. Summer’s coming, spring. You asked the lambs, I’m shy. Alright listeners and viewers. We’ve got great topics going to be just me and Cindy this week. But we’re talking about timelines. And it’s consideration if you’re looking to build your membership. You’re learning management system course. What is a realistic time line to get this live and for it to generate income for you, beloved listeners and viewers? So that’s what will be talking about. I’ve got my great cohost here, Cindy. Cindy, would you like to introduce yourself to the listeners and viewers? Cindy: Sure. Hi everyone. It’s Cindy Nicholson here from thecoursewhisperer.com. And just as Jonathan says, we help entrepreneurs that want to create really good online courses. Jonathon: Yeah, she’s from Canada folks. It’s still a bit chilly there isn’t Toronto isn’t it? Cindy: It is. Although there is no more snow left, so that’s a step in the right direction. Jonathon: Thank God. I’m from Reno of Carson city on the outskirts of northern Nevada. We had a pretty grim winter folks. And it’s, the ski resorts are still all open. And it’s the beginning of April, so they’re going to be open until the end of April. We have had a series of storms ourselves. Yes folks, you are on the WP tonic show, not the weather channel. We’re going to go straight into it. So I think a lot of people have unrealistic timelines about how much time it’s going to take to get their course. And I think we are bringing down on a bit over the past month Cindy about being realistic your first course. Don’t think about your first course thinking. So to start this off, do you think that’s the crux of the problem to start off with? Is that people think volume rather than quality initially for their first course? Cindy: Yeah. Well, I think what ends up happening is people hear about this concept of creating an online course and they love the idea and they want to share what they know. And the instinct is to share everything that you know, in that first course, get it all out there. And what I’m constantly working on with clients is to kind of pull, like to really just pull back and focus on what not what you know, but what problem you’re going to solve. Like what is the issue that your clients are having that you can solve for them right away. And often it’s a smaller problem than the overarching problems. So I really think we’re going in a direction of like just in time learning, which what I mean by that is that people are not going to want to get a complete course on how to solve all world problems. They are going to want a specific course on how to solve something specifically until the next problem comes up. So what that means is that the courses I think are going in the direction of being much tighter and shorter, which is good news because they take a lot less time to create. Jonathon: What do you think if you are going for a mini course? It’s not the best title. If you got a better one, a micro course. Maybe micro course. How long do you think these are very broad guidelines, but from conception to having a set of material written quizzes and video, what would you recommend to a client? How long do you think it’s going to take to really get that into a state where you could actually build out a website? Cindy: That’s a tough question because it totally depends on how. This could be done in a week. If you have the time, it could be done in three weeks. If you had the time. So what I usually break it down to, and again, mini course or just. Jonathon: What would you classify as a mini course? I am putting you on the spot but just be very board. Cindy: Well a mini course, it depends on what the problem is that you’re solving. But let’s say let’s say it’s about 10 different lessons. And these lessons, I mean are like a five minute video with some sort of action item. Let’s say that’s a mini course and that you can teach your course in 10 steps to get them the outcome that they’re looking for. But rather than identify the number of weeks because everybody has different availability. I like to count it in number of hours. So what I generally tell my clients who are creating the content themselves, I say five hours per lesson to do like end to end. So to do the research, to do the story board, to do the videoing to do the editing, to doing the PowerPoint slides. I would say depending on how many lessons you have, I would give it five hours per lesson. So if you’ve got 10 lessons, then that’s 10 hours. You’ve got 25 lessons, that’s 25 out of five hours per lesson. So 50 hours and then 125 hours. So that’s usually the benchmark or the ballpark that I tell my clients. But then it depends. It depends on, sometimes people take a long time to record their videos, so that might up it up. Whereas some people might be really quick at putting worksheets together, so that might decrease the time. But I usually give them the ballpark of five hours per lesson. Jonathon: That`s a good judge. Based on your experience all people are different. If they can do five hours, it’s going to take five hours per lesson. And how many lessons do you think you would say roughly in the mini course? Cindy: Let’s say 10 to 12. Jonathon: If they really motivated, and they’re really serious about getting this done. How many weeks or months should this take really? Cindy: A mini course like that, again if it is 50 hours, how much time are you willing to commit each week? So when I work with my clients, I say, can you give me five hours per week in terms of doing the work that they need to do? And so then that’s 10 weeks, but some people can devote more time to that. If you can devote 10 hours, then it’s only going to take five weeks to do it. So it totally depends on how much time you want to put in to it. Jonathon: Let`s say they write out a brief about the basic structure of the course. They’re hiring you to help them actually edit or jointly produce more detailed content that will be part of the course. But let`s say with your help, they build out a structure called structure. What’s going to be in each lesson. Then they got to do the video. Do you think its good idea to do, can I do the video at home or do they really need to hire a studio? That’s a can of worms in the design, isn’t it? Cindy: I do have an opinion on that. Keep it as simple as possible. Especially if you are doing this down for the first time. Keep it as simple as possible. So video camera, a PowerPoint or however, however you want to deliver it, a bit of lighting, a good microphone. That’s all you need. Because when you start to rent studio and get a videographer that can get quite expensive. Cindy: Very quickly and, like the first time you’re doing the course, there’s going to be changes. Like you want to keep it as simple as possible to edit it down the road. And that’s why I say I wouldn’t fork out the big bucks until you’ve gone had a few people go through that. Jonathon: Get a lighting kit, get a decent USB mic, a stand, you can shoot this. There’s plenty of advice on YouTube. They are some great channel’s about cameras, how to set up a professional camera rig or you can just use a Webcam. You can choose that, but there’s a lot of good recording device out there folks. Isn`t Cindy about that? But I agree with you, your first course. Because you’re probably going to have to take some of these videos multiple times to get them to a standard that you you’re reasonably happy with. Which can be a real expensive if you’re in a professional studio can`t it? Cindy: Yes and if this is the first go you want to make sure it`s going to sell before you invest a lot of money in it. And again, it’s that whole fact that you want to be able to make changes easily. If the more difficult it is the less you’re going to be willing or motivated to do it. Jonathon: So I’ve been doing a lot of podcasting for the past four years. I love podcasting. That’s one of the reasons that sustained me. It’s not only I do it for business reasons. I actually like podcasting Cindy. But I admire people like Amy Porterfield on some of the other big podcast is that they can actually, on their own talk to their audience for over a half hour. I find it easier if I have a guest or a cohost to discuss. Is that something that takes a lot of bit of practice to actually come across with your clients when they actually talking to the people who’ve taken the course? But it’s them that’s talking to the camera. Cindy: With the courses and the lessons to be too long. So it’s not like you have to fill 30 minutes, you have five minutes. It’s easier from that perspective. If you have a certain structure to your lesson and you want to keep it tight. And you want to kind of keep out all of the fluff, then that’s a way to kind of help make that part easier. You don’t have to be going on for a long periods of time cause I really recommend lessons not be longer than five minutes long. Jonathon: That`s great. We’re going to go for our break. We are going to be talking a little bit more about the tech side of it, which is going to be Cindy, really asking me some questions in the second half of this great show. We were back in a few moments. Jonathon: We are coming back. We’ve been talking about realistic timelines. Plans never like this are the bit that kind of crushes their dreams. It must be like a dentist. The common, you want to tell the client your teeth are fantastic, but sometimes you have to say you got free feelings coming in. Now before we go into my part, I want to talk about one of our great sponsors. And that’s Kinsta Hosting. And Kinsta only specialize in hosting WordPress websites. They’re great for course entrepreneurs. For Woocommerce, basically you get what you pay for really. Not always, but most of the time when it comes with hosting. And your normal cheap shared hosting isn’t really gonna work for your course website folks or your Woocommerce. And this is where Kinsta comes in and helps. We host the WP Tonic website on Kinsta. And we’ve been totally happy. You get staging site where you can try things out and then push it to your production site. That’s the best way to do it. You get one button backup. You get automatics every day back up. You get the latest versions of PHP. Why should you care? Well, it will make your site super-fast. That’s why when people come in on a tablet or phone. You want your site to load up the quickest it can. They used cloud, Google cloud hosting as they are basically backend framework and some of the fastest servers on the market. But what we get from Kinsta is a superb interface and superb support, 27 supports from people that actually really know something about WordPress and about hosting in general. But if that sounds interesting, go to kinsta.com and find out more about their plans. So you’ve helped them develop the content, now they need the website built. In my experience that takes about two to three months. And I know that sounds a long time. And I think kind of haggard looks why, because there’s a lot of back and forth. Basically a month sounds a long time, but it soon disappears. That’s the basic outline. You can probably get it done in six weeks if somebody is experiencing having a website developed for them beforehand. And has a really good idea about UX layout and hasn’t got a lot of customization that they’re requiring that not the norm. What do you think about that, Cindy? Cindy: I think it probably opened up a lot of people’s eyes when you say two to three months. So in the process of getting the, you have, let’s say the contents ready, although it sounds like you want to get the website going before your content is done. Just so that you’re not, don’t have any more leg time. What are kind of the stages that you go through in terms of from beginning to the end and how long do each of the stages last? Jonathon: Well you’ve obviously got the pre design. We at WP Tonic, you can have what is called, you know, you can just choose a theme. What, I’m just slightly modifying that. Then you have the semi-custom and then you have full custom. Now I’m going to discuss the semi-custom and the full custom because that can cause confusion. What we do, because we specialize in learning management systems. WordPress, the two that we work with really the time is either lifter LMS or Learn dash. And they both owned by two great individuals. Learn Dash is a husband and wife and Lifter LMS is owned by two founders. I think they’re both great. For your business coach, a health coach, medium size project are probably go with lifter LMS. For the larger projects I go still probably with Learn Dash. The reason for that is that Learn Dash is a little bit more established and has some third party add on functionality which is semi mature compared to Lifter LMS. But Lifter as the benefit that it has more functionality built into it. Than what Learn Dash has. So first of all, we have to work out are we going to use Lifter LMS or are we going to use Learn Dash. Then the other consideration is are we going to do a semi-custom or full custom design. Now semi-custom. We have a parent theme called Astra and that’s what we work with the Astra theme. And what the Astra is actually being designed to work with both those learning management system plugins. Both Lifter LMS and Learn Dash. It works with both very well and it has inbuilt functionality that’s been designed to work with those two WordPress learning management systems. And what Astra also provides, it provides extensive library of over hundred themes. Child themes that work with almost one click, you can install them into the parent theme. And they got these available. So why tend to do is we, if, if a client’s choosing the semi design option is that we send them to this library of themes. And they can look through them and play with them online. And we ask them to choose three of those themes and actually give us a paragraph of what they like about that theme. And then we ask them to go to a couple live course websites that don’t necessarily have to be in their particular field. And we asked them to give us two of those and give us a paragraph of what they like about them. Because most clients who have never done this before can tell you what they don’t like when it’s put in front of them, but they find it very hard to tell you what they like. So if you can send them somewhere where the theme is already up and running. And they can see the basic layout and then they show us they can choose three of those. And they can show us a couple of examples of course that I like. Then we can move one of the child themes and customize it so it matches and give a pretty quick markup of the home page and one of the course pages quite rapidly. And then they probably want some second rounds of changes to the course, the lesson page and maybe the course selection page. And probably the home page so they get a second round. But we find by having one of these sites that they can select sell writes, the design process a lot quicker. Because you haven’t got an enormous amount of back and forth. Does that make sense Cindy? Cindy: That makes a ton of sense. And the rigor around choosing that design is so important because again, you want to, it’s not something you want to keep changing. So spending the time to really understand what it is you like and what you want is it’s time well spent at this point. Jonathon: And a semi-custom is going to be about half the price of a full custom design. Now you still do have clients that want a full custom design. Therefore about they are normally people who already got courses. They normally got them on some of the popular SAS solutions like Teachable, like Kajabi. And they want something really custom. They have custom requirements when it comes to the actual, how the courses are run. And also in design terms, they have specific requirements, which their SAS solution can`t fulfill. So those people normally have ridden the pony before. And they know what they’re looking for. And they know the designer themselves and got some mark ups for us. Or we work with them and we get some mark up for markups developed for them in photo shop. And we get our graphic design. 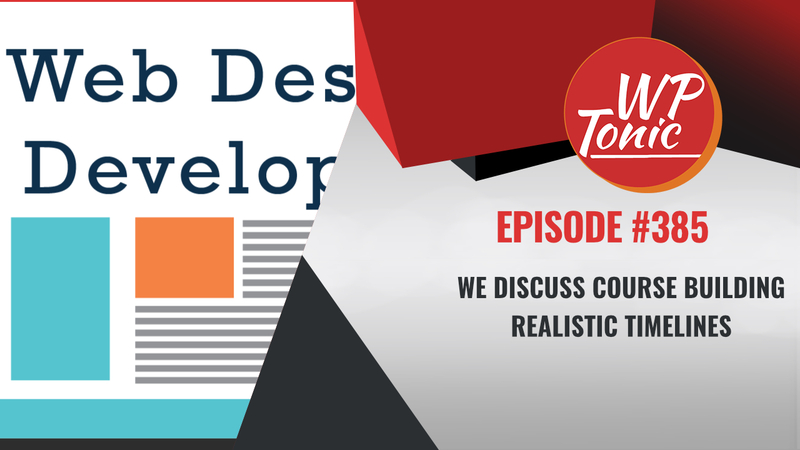 That work with us, with our client, with the client, and they get a set of mockups. And show your home page and one of the lesson pages. And basically we look it up, we develop it and it’s a custom theme basically from the ground up. Well this is full custom from conception to build. So hopefully I’ve explained semi clearly what the difference between semi-custom and custom is. What do you reckon Cindy? Cindy: That makes sense. So to get to the point where they’ve chosen their theme, they’ve got kind of the mark up of what they’re looking for, how long would you say that takes about to get to that stage with the client? Jonathon: That’s where the skill the interviews with the semi-custom, that can take about a week to 10 days back and forth depending on how quick the client responds. a full custom designs is probably going to take a month back and forth because you’re probably not going to get it. You probably have free designs. We normally offer free designs. Based on the initial consultation with the client. And hopefully one of them hits the spot for the client. If it doesn`t, they have to write and then we do another free mark ups in Photoshop. So it might take a month because you do the first three or two depending on what the client is happy with. Well that might take two weeks. Then they might say, sorry, it’s not really doing it for me. And then you discuss why and then you do another revision, a set of revisions. And we normally most development houses give between one to two sets of revisions. And that says in the contract basically. So that you can see now why the process can take a bit of time. Semi-custom, you are sending them is going to be semi-custom. The home page and the lesson page but it’s not going to be a full custom build out. So that that process is quicker. Cindy: What comes after that then once you get to that stage? Jonathon: Well they might be some custom functionality that they require, which has to be developed, which basically is done in a custom plugin. With functionality to do quizzes, assessments, gamification. Especially the people that is moving away from a full SAS solution like Kajabi. They normally have some customization of the course structure which they require as well. The new people are normally more bog standard. Cindy, they don’t require, but I’ve got one client is their first course and it’s a bit of a hybrid. And I do need, they are looking for some custom development, it’s actually is Learn Dash. Which we can do for the client hopefully, but that’s unusual of them require custom coding in actual learning management functionality. Know what they’re looking for because that’s what they require in which the SAS solution cannot provide. So if they’re looking for some custom code and custom development that really depends on the functionality that they are looking for. That can take from a month to three months. Depending on do they really know what they’re looking for? Or do they need consultation to tell them that what they’re looking for is possible. Sometimes it’s just not possible technically to do what they require. Or it would turn into such a Frankenstein of a solution that really we need to look at this with a bit more clarity. Does that make sense Cindy? Cindy: Totally. To actually execute on it is a totally different story. Jonathon: It might be totally clear but it might require documentation consultation. That normally is with a more experience e-learning entrepreneur that’s already got successful courses on a SAS platform where they looking to either for us to custom build it and use one of our turnkey solutions. Where they get ongoing support. But for the beginner they can go semi-custom and we host it. 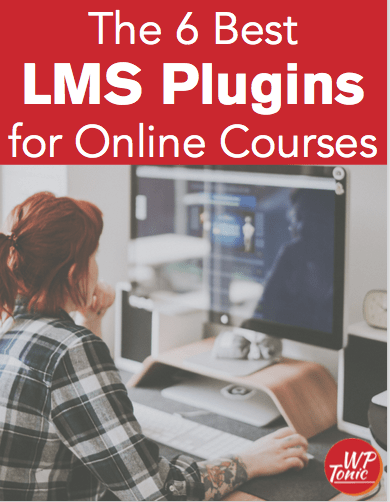 And we provide a set of plugins that we’ve tested that provides a level of functionality which the average e-learning entrepreneur is looking for. And we know that these plugins work with one another nicely. There’s no plugging conflict because that’s another thing where you find when people are trying to build out some things at the same time that are trying to build out the course. Is they try multiple themes, multiple learning management plugins and multiple third party plugins. And that ends up being a bit of a Frankenstein. And that`s probably one of the reason why they look at SAS solutions. Even though it’s not really quite in design terms or functionality what they really looking for. So if we can provide a solution to get them started, then they don’t have to at that stage. Then also didn’t have to move from one platform to another. The least, they just moving up in design terms. But they still with WordPress, which is easier, they move in something totally from a third party SAS solution. So we are coming to the end of our podcast. And I’ve only touched it. I hopefully Cindy, we can stay on for another 10 minutes and get delve into some of the plugins and some of the elephant teacher to say that we should be able to watch on the WP tonic YouTube channel. Because I normally have that up a few days before it’s available as a podcast on iTunes. So go to the WP Tonic YouTube channel and subscribe. And you’ll see all the latest episodes at least four to five days before they’re going to be available on the WP tonic iTunes site. So Cindy, how can people find out more about you and what you’re up to? Cindy: So if you kind of want to reduce the amount of time you spend on this course in terms of development that is definitely something I can help my clients with. You can reach out to me from my website or come and say hello on LinkedIn. Just put in a search for Cindy Nicholson and you’ll find the Course Whisperer there as well. Jonathon: And we are proposing to do one of our other webinars at the end of this month. We do them every last Thursday of every month. We missed last month because we had some personal conflicts and I disappeared for a little while. But we’ve used to do our webinars, which are the seven steps that you need to know about to get that first course done. This is really linked to this conversation. We propose to do that on the 25th of this month and if you want to register for that, it’s totally free. And you will be able to listen to Cindy and with me. You’d be to do that. You go to the WP Tonic backstroke webinars. It’s really quite simple and there’d be a registration page and you’d be able to register for our Webinar on the 25th, which will probably be at [10:00] AM Pacific Standard Time. So we’re gonna wrap up the podcast. We’re going to have some bonus content after it, which I’d say you’d be able to listen and watch on the WP Tonic YouTube channel. Until next week where we can have another. We are actually going to have a great guest next week. Actually you’re going to be really interested in the next interview. We will see you soon. Bye. ← 099 WP-Tonic: What Plugins Should You Consider For Almost Any WordPress Project? You also will be added to our monthly newsletter with our the latest articles and tips about building and running successful membership and LMS website.